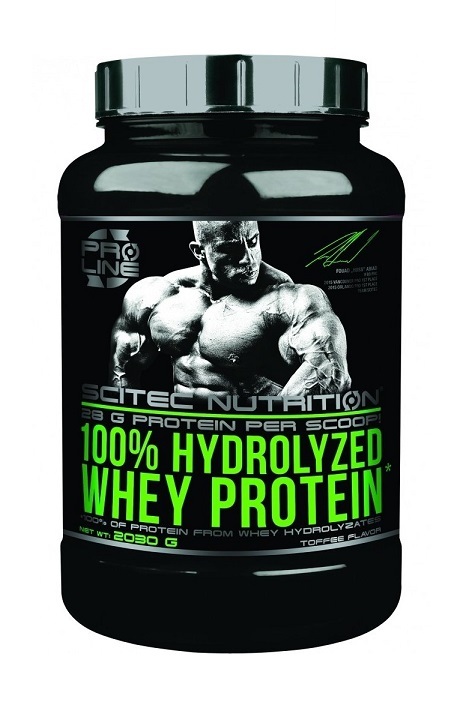 100% of Protein From Whey Hydrolyzates! 28 g Protein Per Scoop! Suitable For Lactose Intolerant Users! Whey protein is generally considered the best sports nutrition protein type. Whey concentrates and isolates represent varying degrees of processing and quality, but the protein remains intact, while hydrolyzation breaks intact protein into smaller parts, therefore the speed of digestion, absorption and utilization is the highest among all protein types! This ultra fast absorption makes hydrolyzed whey protein the best after training (or in between multiple daily sessions) and first thing in the morning. Unlike other brands, 100% HYDROLYZED WHEY PROTEIN contains only whey hydrolyzates as the protein source and no simple whey concentrates or isolates are present! 100% HYDROLYZED WHEY PROTEIN has a high protein content, and it contributes to the maintenance and growth of muscle mass and also to the maintenance of normal bones! Our product is suitable even for very sensitive lactose intolerant consumers due to the presence of a lactase enzyme! Mix 35 grams (1 scoop) with 350 ml water.